The feorlean.scot dotscot domain is used by Michael Russell MSP. As a Member of the Scottish Parliament a .scot is the obvious choice for a website and email address. 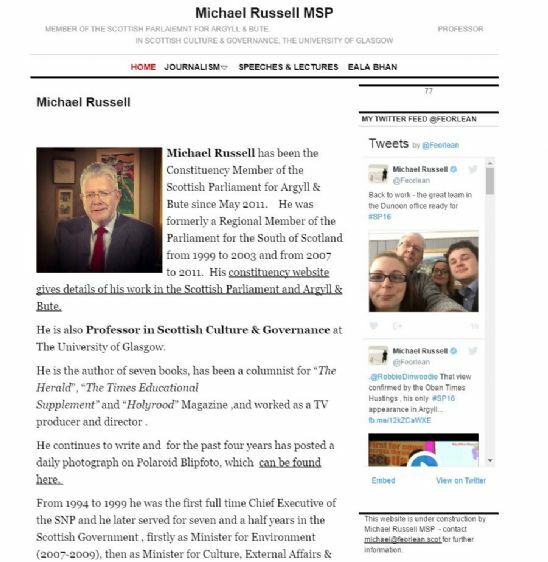 Michael is the MSP for Argyll & Bute and is also Professor in Scottish Culture & Governance at The University of Glasgow. Find out more about his work, along with social media feeds, on his website. Register your .scot domain name with Calico UK now.